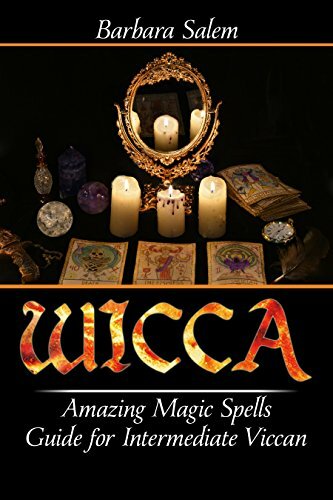 Learn How to Become The Best Wiccan With These Intermediate Magic Spells! First of all, congratulations! You are well on your way to advancing to your final step of advanced spells. There are not too many spells that are beyond your reach now, although some are not going to be in your wheelhouse just yet. But do not worry, you are going to get there in your own time. For now, while you are on those spells that may seem like they do not really fall into the beginner level, but they are not quite complex enough for the advanced level, you are going to learn a lot! You may not be on this level for long, or you may be here for a while. However long it takes for you to be confident in your own power, you should not be embarrassed. Learning how to do spells is not something that is supposed to be a race. If you do not master it the first time, you can try it again, or you can move on. There are only two reasons as to explain why a spell does not work, and that is because the universe does not think that your spell should come to pass or you did not do it properly. If you did not do it properly, that is nothing to be ashamed of! Everyone makes mistakes even when they are no longer on the beginner’s level.